It might be based on medieval design, but this Bearded Sports Bascinet Helm is made for modern reenactment and combat. Offered in two different gauges, this helmet is the utmost protection that a modern-day warrior and reenactor could possibly ask for. 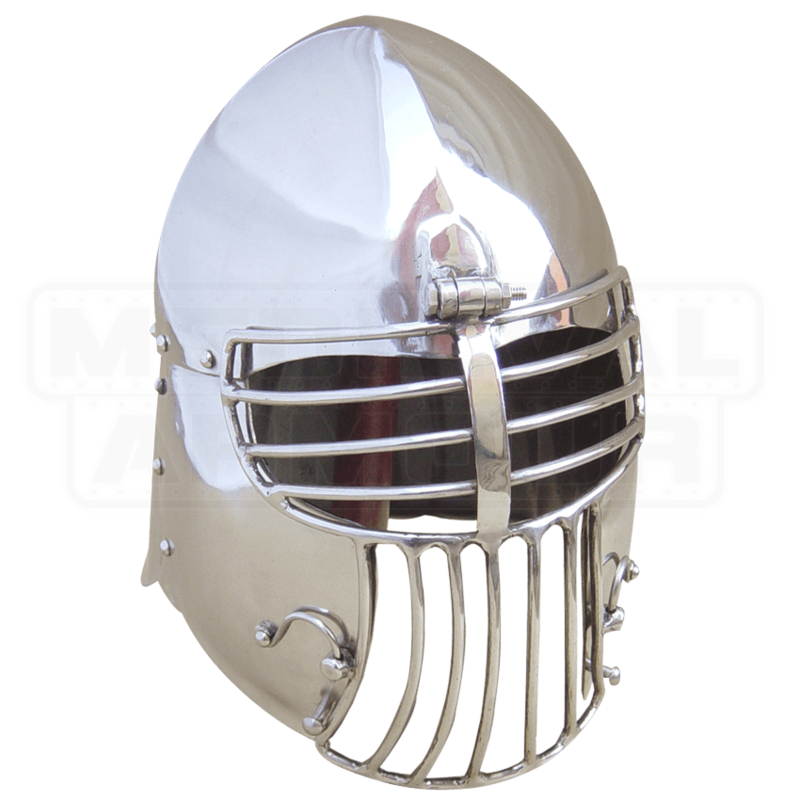 Historically based on the bascinet helm, this helmet offers plenty of ventilation and plenty of solid protection. The high crown of the helmets cap helps to shunt blows off of the top of the helm, ensuring that strikes from above slide down the sides of the helmet, instead of hitting solidly across the top. The face protected by a heavy steel face-mask of horizontal and vertical steel bars, which is attached to a hinge at the helms brow and held secure by rotating hooks on the cheeks of the helm. This mask offers unobstructed vision, as well as great defense, without sacrificing anything in-between. The helmet is offered in one size, although it can be purchased in two different gauges of steel - 16 and 14. 16 gauge steel is better for light combat, some reenactment, SCA events, and costuming, while 14 gauge is aimed towards more rigorous and full-contact combat. The helmet also features an internal liner. 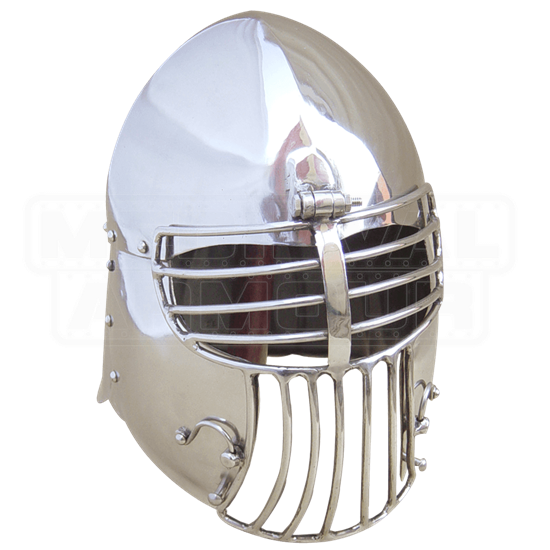 For the modern-day warrior, good defense is a must, and among helmets, not much can match the open design and solid protection of this Bearded Sports Bascinet Helm.